It has always been our greatest desire to help all of our patients achieve optimal oral health. Because we are a Members Plus dental practice, you get to enjoy reduced out-of-pocket expenses as well as receive a scale and clean annually for every person that is on your policy – up to the yearly maximum. Another brilliant benefit of HBF Members Plus is there is no gap on your children’s preventive dental services (*up to your annual limit) when you are cared for by one of our dental practitioners. Did you know that you also can receive a rebate of up to 90% depending on your level of HBF Essentials cover? 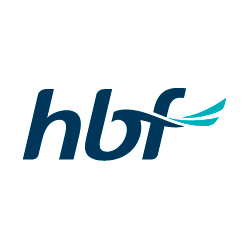 We would be happy to provide more information and answer any questions you have about HBF Members Plus. It is our desire to help you and your family members achieve optimal oral health and attain a beautiful smile! Contact the practice today to book an appointment! Early and late appointments are available seven days a week.